Credit Union School quiz held in Davitt College, 1st year winners from Davitt College, front l-r; Chloe Bright, Cleo Boyle, Sophie Rawson and Dervla Hughes. 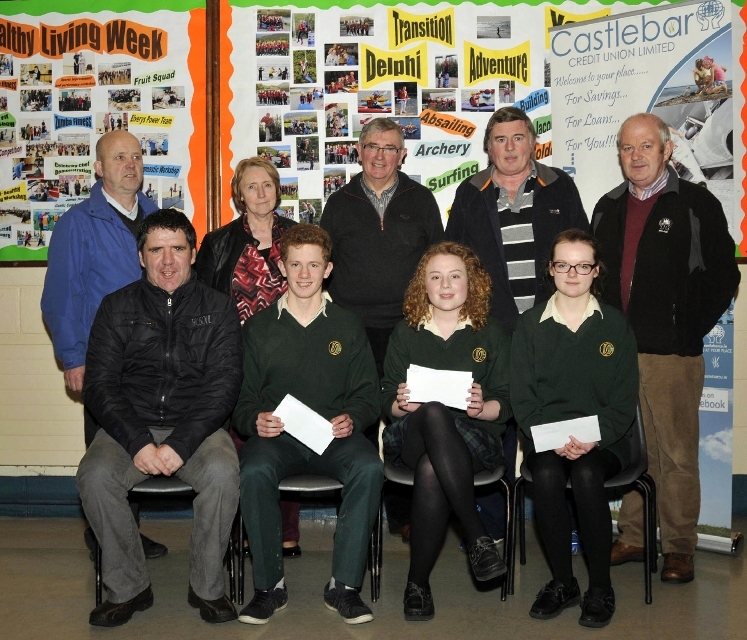 Brian Murphy, teacher and members of the Castlebar Credit Union organising committee, Stephen Blendell, Ger Minogue, John King and Maria Reilly. 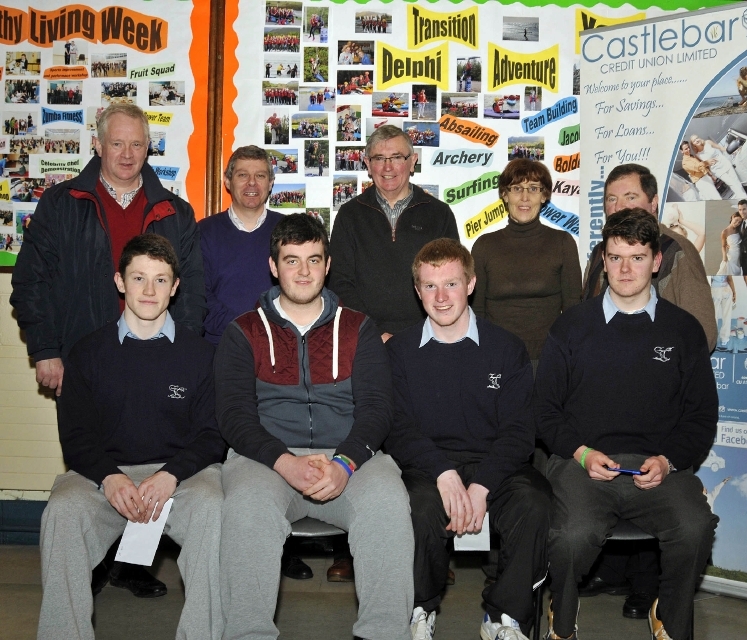 Photo © Ken Wright Photography 2014.
Credit Union School quiz held in Davitt College, 2nd place St. Gerald’s College front l-r; Sean Conlon, Kevin Scott, Patrick Burke and john Gibbons. Members of the Castlebar Credit Union organising committee, back L-r; James McLoughlin, Stephen Blendell, Stephen Burns, quizmaster, Marian Coyle, Michael Murray. 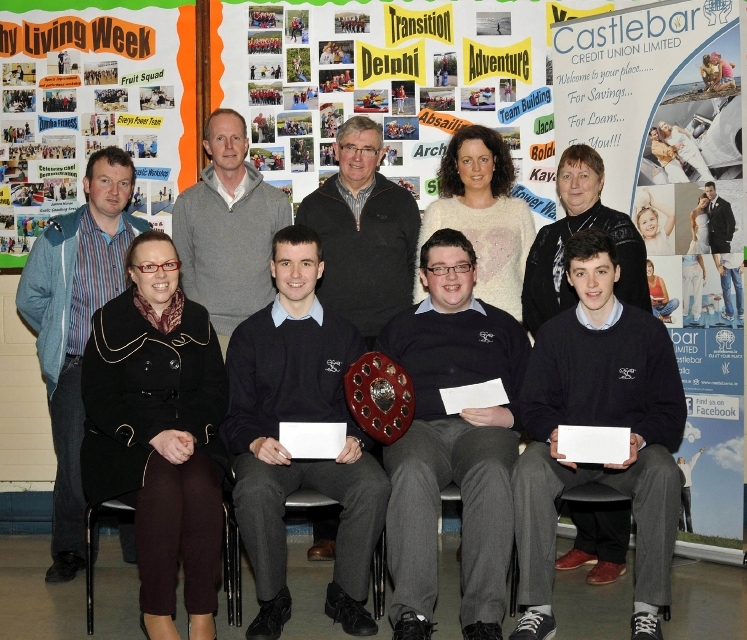 Photo © Ken Wright Photography 2014.
Credit Union School quiz held in Davitt College, winners from St. Gerald’s College front l-r; Regina Duffy, teacher, Sean Tobin, John Tunney and Conor Ludden. Members of the Castlebar Credit Union organising committee, back L-r; John King, Ger Minogue, Stephen Burns, quizmaster, Maria Reilly and Maura McGuiness. 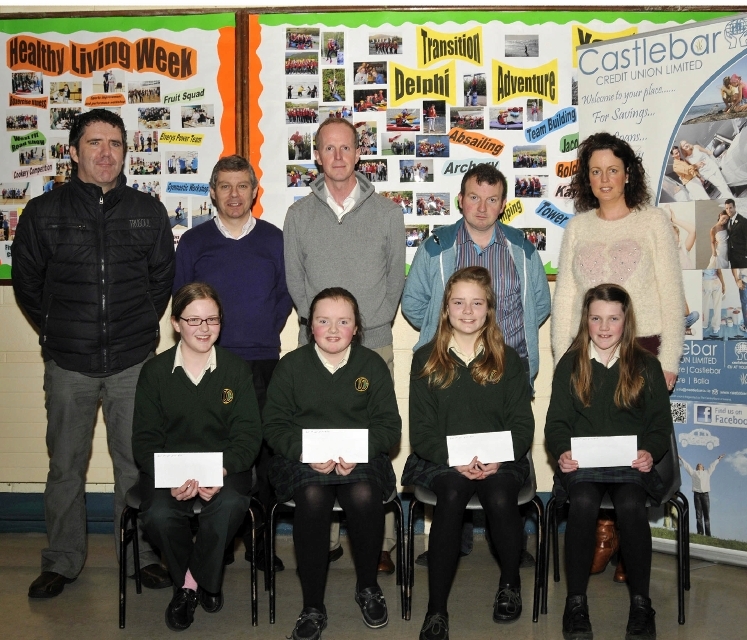 Photo © Ken Wright Photography 2014.
Credit Union School quiz held in Davitt College, 3rd place Davitt College, front l-r; Brian Murphy, teacher, Fintan Birotto, Laura Ryan and Roisin Mannion. Members of the Castlebar Credit Union organising committee, back L-r; John O’Brien, Anne Carney, Stephen Burns, quizmaster, John Walsh and Jimmy Murphy. Photo © Ken Wright Photography 2014.